Today I did something I haven’t done in a long time. I baked blueberry muffins for myself on an inspired whim. After dropping off my son at school, I was standing in my kitchen looking out the window waiting for the Keurig to warm up. Noticing how grey and wet it was outside, I had this random thought pop into my mind. While my brain and body desperately needed coffee, what my soul wanted were homemade blueberry muffins I could enjoy in silence without interruption. 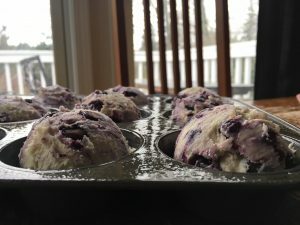 As soon as this thought crossed my mind, I thought about what ingredients I had on hand, and a second later I began grabbing everything I needed for my blueberry muffin recipe. The funny thing is, I haven’t had a blueberry muffin in years. As much as I love Costco, the giant multi-variety muffin pack they sell in their bakery everyone is familiar with (and has consumed) but no one ever really enjoys has ruined muffins for me in general. Make sure to cream your butter, lemon zest, sugar mixture until it looks whipped! 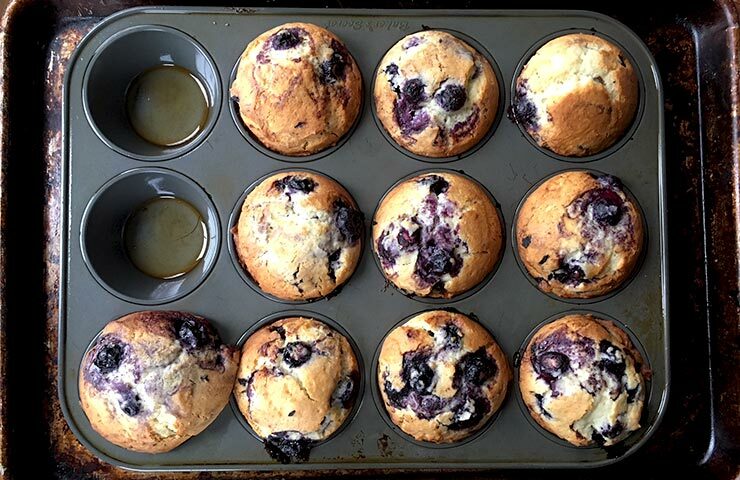 So imagine my surprise when blueberry muffins popped into my conscience. Without giving it much further thought it dawned on me how much I enjoy warm blueberry muffins out of the oven with a little smidge of butter. Two minutes later I was softening a stick of butter in the microwave and not long after my speckled fruit batter was ready to be scooped and baked. Halfway through the baking process, I pulled the tin out to rotate it and found myself honestly excited when there were nice rounded tops (versus flat) to my muffins. When the muffins were done, I relished in how golden and beautiful they were. The texture was perfectly moist with a nice soft crumb similar to pound cake. The blueberry muffin itself was not too sweet but similar in sweetness you might come to expect in coffee cake. Made with a hint of fresh lemon zest, non-fat Greek yogurt, and frozen blueberries (ironically all purchased from Costco), these homemade blueberry muffins are nothing like the commercially baked ones. Instead, these muffins taste like goodness and joy, not to be eaten mindlessly but to be enjoyed from the first bite till last. 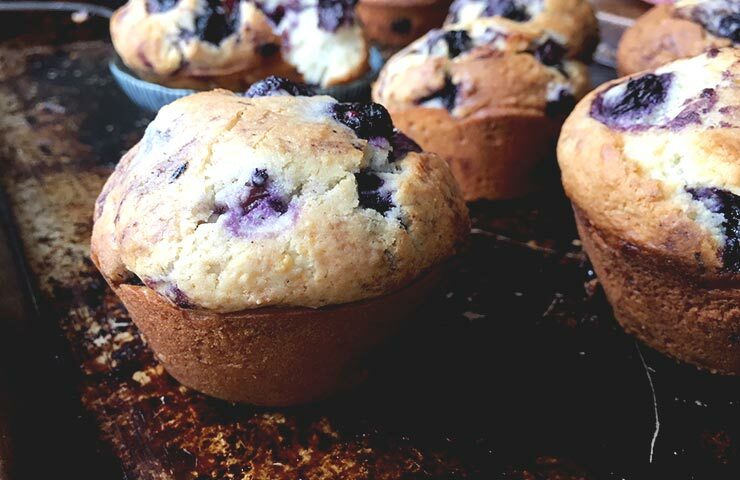 I invite you to treat yourself to a batch of these blueberry muffins. I promise, they taste like they were made with love… and maybe a little bit of self-love is in order today. To treat ourselves with kindness and tenderness, just like these muffins. Enjoy! Served with a scoop of vanilla ice cream, you can never go wrong with Blueberry Crisp. If you love blueberry recipes, this Blueberry Buckle Coffee Cake with a Brown Sugar Crumb Topping is, AMAZING! Or, how about Instant Pot Blueberry French Toast? A wonderful homemade blueberry muffin recipe with a nice crumb, not too sweet flavor, and full of bursting berries. 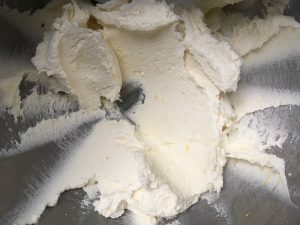 Cream the butter, sugar, and lemon zest on medium-high speed until light and creamy in texture, similar to whipped butter. If your creamed butter looks more granular, keep mixing until it looks whipped. Add the vanilla extract and eggs. Slowly mix until evenly incorporated followed by the yogurt, baking powder, and salt. The creamed mixture should look even but very wet. Add the flour and mix on slow speed. The batter will look clumpy at first but allow it to come together until it is uniformly very thick. Using a large scoop ( think ice cream size), fill the tins so the batter is rounded. I was able to make 10 muffins but you might be able to get one less or one more depending on the size of your scoop. The scoop should be slightly taller than the tin and rounded like the photo. Bake the muffins for 15 minutes at 375 then rotate the pan 180 degrees, reduce the heat to 350, and allow to bake for an additional 15 minutes. Allow the muffins to cool in the pan for 8-10 minutes before moving. * If you bake the muffins without liners, gently twist the top of the muffins using your fingers to loosen the sides away from the pan. To remove the muffins without them breaking, use a spoon to help lift each muffin out of its slot. Thanks for checking back here and leaving your thoughtful note. I don’t know about you but I find I do need a lot more motivation to do something these days. I totally get what you’re saying. Although I’m not a huge fan of crunchy muffin tops, if you have any turbinado sugar on hand, you could sprinkle some on top if you like a little bit of gritty crunch. Thank you for your sweet note. I appreciate you for taking the time to leave a comment. Taking a break is good, burn out is a real thing and coming back slowly allows me to come back with a renewed sense of joy. these muffins where divine! you actually motivated a family trek to costco to secure the yogurt and blue berries and my oh my did they not only come together quickly, but were devoured by all! the grated lemon added a perfect touch and the yogurt made every crumb taste so luxurious. as others have commented, thank you so much for returning (your buttercream and chocolate chip cookie recipes have long been my go-tos) as it is quite wonderful to experiment with all you contribute. thank you! Self care is so important but for so many of us we don’t do nearly enough or at all! I can totally relate. Baking just for myself is a rare occasion. 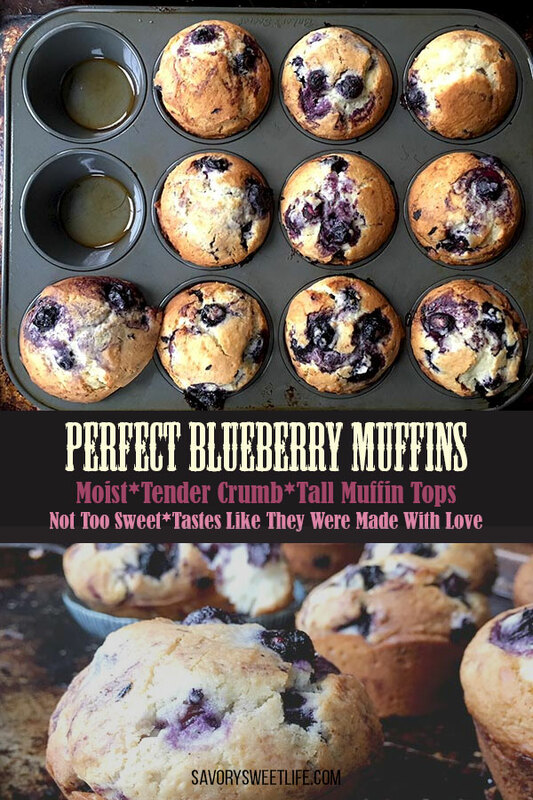 I love muffins but seldom make them for the exact same reason as yours, but I just so happen to have fresh blueberries in my fridge so guess what I’m baking this weekend…as a special treat…for myself? ? Thank you James! So nice to see your comment! Oh, it is so delightful to see your post in my in box. I enjoyed your blog so much. These look amazing. Sometimes all it takes is a little motivation, a whisper of thought. What always leaves me satisfied when baking is when what comes out of the oven tastes as good as it looks. The muffins in and of themselves are good but it’s been awhile since I baked with just such freedom and joy in the process that these muffins became more than good. They’ve become a beautiful reminder of how you can find something that you’ve lost but yet did not know how to rediscover. Listening to the still quiet voice in our hearts can be a pathway to healing. Thank you Heather. Taking time away has been good for me to have space and time to rediscover the joy of writing and cooking in the kitchen for the fun and joy of it. My husband told me when I first started blogging that if it ever stopped being fun that I would have to stop. Having been away for so long I worried I couldn’t come back with the same type of joy I used to have as I first started. Yet, there is something very refreshing to be able to sit down and just write.. write as if I’m writing for an audience of one without any other motive than to journal. Thanks for your note of encouragement! You have motivated me to want to make muffins. These look fabulous. It is so nice to see you writing on your blog again! I’ve missed reading the thoughts and recipes you chose to share with us.